This is a dainty 14×19.5mm. 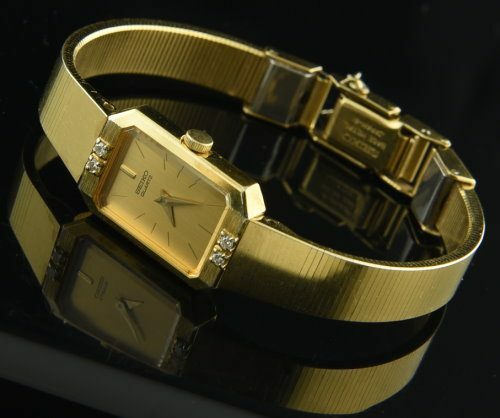 Ladies SEIKO Quartz gold plated with authentic diamonds. This 1980’s watch looks essentially new. It will fit a small 5.5″ wrist. Working perfectly. Very classic and fine. Just $195.